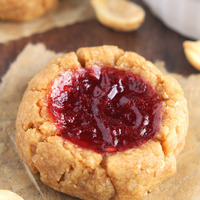 Peanut butter and strawberry jam cookie. 3 days age. Good god this juice is amazing! NCM has done a wonderful job with this to me it's a perfect ADV. First off the strawberry is unique but perfect for this recipe so if anyone is thinking about subbing, don't you will be missing out on the strawberry jam perfection. My favorite part of this recipe is the peanut butter cookie profile. When I'm vaping this my mind plays tricks on me and it feels like I have peanut butter on the roof of my mouth in a good way! The peanut butter cookie is not to strong not to light, it's just right, perfected. If you're thinking about trying this and you like the peanut butter and jelly profile in a vape I urge you to give this a try it's very worth it. Mix this up and grab a glass of milk you're going to enjoy this. This is my favorite of the recent cookie recipes and the best strawberry flavor I've had in a vape. Amazing NCM! This is delicious. Steeped for 3 days and it tastes exactly like a PB&J on white bread. Takes you back to elementary school. Awesome! Another winner from Mr. Not Manson here! Every element of this is done very well. I think this is a perfect representation of how to use FLV Strawberry, since it's such an odd strawberry flavor. The FLV Strawberry doesn't have much of a strawberry flavor, but it does offer a nice sort of jammy quality to a recipe, and the INW Shisha Strawberry is there to round out the strawberry flavor. I also feel like the cookie base is extraordinary, and can be used in many applications. The peanut butter sort of speaks for itself, and is used at a great % to both taste the flavor and not overwhelm the other aspects of the recipe.